Opening times are; Thursday and Friday 5.30 pm to 11.30 pm, Saturday 12 noon to 11 pm. Entry is £5.00 at all sessions. Back again, our Gin and Fizz Bar. 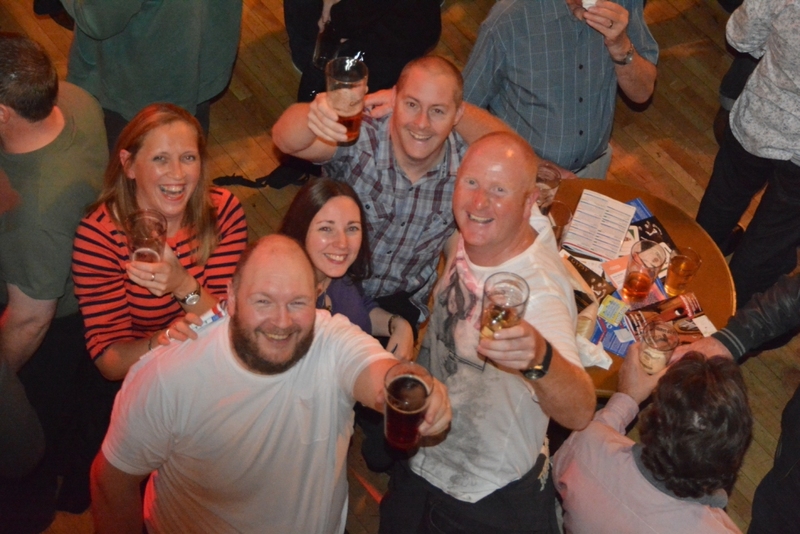 The Warrington Rotary Beer Festival is organised by members of the Rotary Club of Warrington. It is an annual event that is attended by thousands every year - many of them long-standing followers! The success of the beer festival is heavily dependent on sponsorship, with the level of sponsorship being reflected directly in the profit we make each year. It is all in aid of charity. It is a pay on the door event. Only tickets are sponsors tickets. Over the past years we have been able to give nearly £300,000 to charity, have a look under the 'Charities' tab for details of the charitable causes that we have supported in the past few years. Thanks to the generous support from our sponsors and of course the public. If you (or someone you know) are interested in sponsoring the beer festival, please have a look at the sponsorship details page and get in touch. Friends enjoying an Oktoberfest evening session.